The only positive I’m taking from this is that we’ll get written off and we’re better under the radar. Not a chance I'm writing you off. You probably aren't as clear favourites as you were a couple of hours ago, but that's as far as I'm going. Clear favourites. Neither side was clear favourites. I think you’re 60/40 favs or 65/35 now though but still got a decent chance. Well a win by a 35 point margin, scored 40 points, six tries, kept the opposition pointless in the second half...... and yet it's been fairly unremarkable stuff in the second half Game's got very loose and errors crept in. Two from two though is ultimately what matters and it was a very easy win, a very encouraging start to the tournament (and world cup year). Er, Wales are on a record breaking streak! Clear favourites in two weeks! Gatland's game plan will be a lot better than France's today, and Wales are a better team, and they're at home, and they're playing the hated English. It's going to be a tough old game whoever comes out on top. I'll wait to see what the situation is with Mako before making a prediction I think. I genuinely thought that was going to be a really close game. Hats off to courtney lawes who was my motm. Gatland's game plan will be a lot better, and Wales are a better team, and they're at home, and they're playing the hated English. What’s going on with Mako? He came off injured, but I haven't heard what it was or how bad. I’ve already swapped Ashton for him though! England’s management of games has been great the last two games. France were diabolical today but England are making teams look really poor. Wales were average yesterday against a spirited Italy. If England beat Wales (which i think they will sadly as i’ll be there) they’ll be slamming and a decent shout for the World Cup I reckon. A repeat of the 30-3 this certainly won’t be that’s for sure. 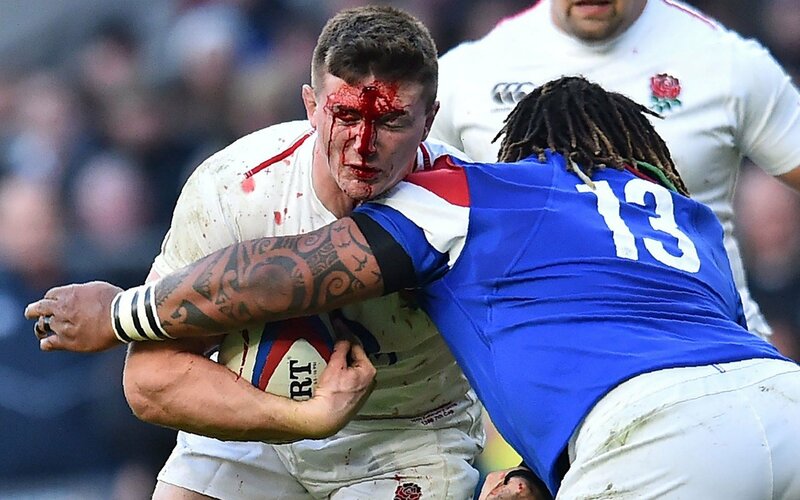 Big burly ball carriers all through this England side. Makes a huge difference. To be honest I'm just hoping no-one on either side gets more than a couple of bruises. Or anymore dodgy TMO decisions going your way. No repeat of last year. Unless it’s in our favour of course.